Select the drive from left panel to recover lost data. Click on “Search More Partitions” button to search lost partitions, if the partition from which you want to retrieve data is not in the list. Browse the path where recovered data will be saved by software. Click on 'Next' button to proceed. 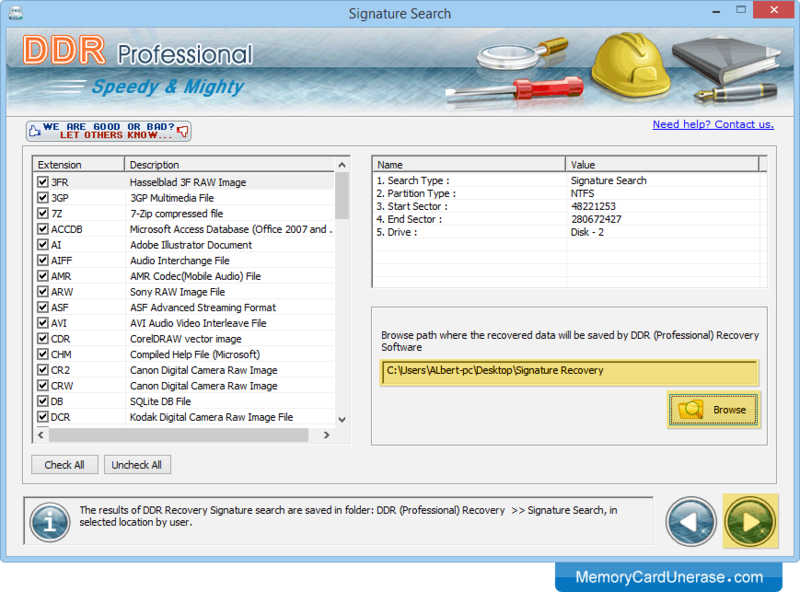 Currently performing disk scanning process using DDR Thorough Signature Scanning Algorithm.